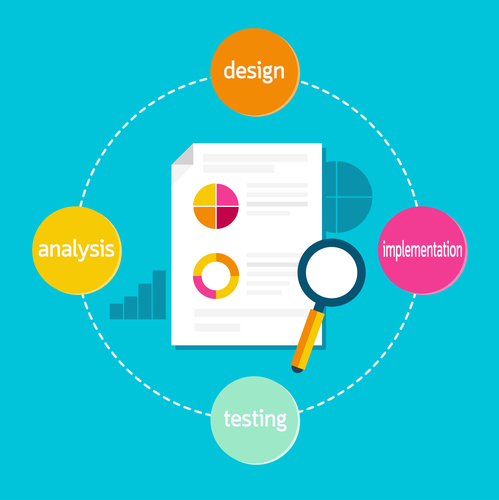 Below is a excellent article posted with permission from Gallup Solutions on the benefits of continuous testing through all phases of the product development cycle. The article provides compelling insight into how continuous testing facilitates and empowers you with an automated and seamless way to obtain prompt feedback on the business risks associated with the product. This is powerful because it helps maintain quality, ensures confident entry in the market place and can enhance your product’s ROI by reducing post-production costs. Can Continuous Testing Ensure Excellence in Quality? Phenomenal changes are taking over the entertainment and infotainment industry. Television was definitely a game changer several decades back, which today seems like past life. Today, online channels are catching up and entertainment works on demand. You don’t have to wait for the movie to come on the television and then watch it, you can just order it online and wait the LIVE streaming. Similarly, you don’t have to access the television to watch a match, you can watch it on your smart device anywhere anytime! While we say so, it calls for seamless experience anywhere anytime. That’s the strength and vulnerability of Digital Transformation. Either you bring that experience or ruin it by not enabling it. Path-breaking software testing approaches such as DevOps, Shift-Right, Agile have been dominating the Software Development scene and creating an impact. There has been a keen emphasis on Continuous Testing and Continuous Delivery. Imagine the pressure this creates to bring about unified experience across various technology platforms that the user will connect at an IP-based themed park/museum. To name a few – theme-based mobile application, theme-based kiosks, theme-based app to sell merchandise, and overall creating similar experiences at the venue. In this changing and challenging phase of the consumer scenario, it is imperative for every brand and enterprise to showcase excellence in their offerings and deliver robust applications. This implies that the key to successful delivery is performance and it comes with consistent software testing. A quality product assures enhanced performance in the marketplace. Continuous testing implies a process where automated tests are executed as part of the software delivery pipeline to get prompt feedback on the business risks associated with a software release. Old school fundamentals illustrate that more testing brings better quality. However, there is another perspective, where testing for some organizations take a back seat and it takes place between development and deployment phase. Quality brings relevance in 2 ways – delivering the right thing for the business and delivering it right and bug-free. How good is an application that doesn’t offer flawless and secure payment gateway and serves you with the right features for an effective online transaction? With phenomenal surge in ecommerce and m-commerce, it is inevitable for every brand/enterprise to make its online platform appealing and secure. Continuous Testing at every phase of the app’s development ensures quality. It comprises Unit tests, API testing, Integration testing, and System testing. The basic objective is to ensure that the application serves the expected purpose. Continuous testing enables increase in productivity and there are a number of open-source tools for the same. Testing is at the core of every product and service delivery. It narrows down the focus on delivering utmost quality to the end consumer. Continuous testing implies executing automated tests as part of effective software delivery to eventually overcome business risks and deliver consistent quality. For many industries quality brings speed and testing is inevitable for their sustained growth. While there are a whole lot of testing tools available in the market, it is important to understand the relevance of these tools for your business or application. Whether the testing tool meets your end objective or not? Does it enable the performance of your product/service? Continuous Testing facilitates and empowers you with an automated and seamless way to obtain prompt feedback on the business risks associated with the application/product. This is truly empowering, as it helps maintain quality, and ensures confident entry in the market place. Continuous Quality entails incorporating consistent quality checks at every step of the SDLC process starting with design, building the app and through all phases of production. An effective testing and quality process enables faster time to market, constant releases and minimizes risks in the post production phase. Let’s consider the Mobile App testing segment. There is constant need to release high quality mobile apps across various development platforms. The processes need to be Agile with constant communication across various teams for effective delivery. During the testing phases various functional aspects of the apps are checked namely, performance, usability and security. It is important to incorporate all the quality aspects into each activity and provide constant feedback to the development team to deliver a bug free application. There are multiple tests involved in delivering any application; user-oriented or enterprise-oriented. These checks are pertaining to quality of performance and overall experience with security. It is mandatory to perform these checks across devices and development platforms/Operating Systems – Android, Windows, iOS devices, smartphones and tablets. Compatibility of the application across devices and browsers is crucial, which delivers experience. With this phenomenal upsurge in the number of start-ups, there are multiple business ideas in the market every day. Considering this point of view, today every brand, device, product has only few seconds to get the right eyeballs and sustain attention. If this is the scenario, it is more than important to bring well tested applications/services to the market with a holistic view of the various features and functional aspects. This makes Continuous Testing and automation of tests absolutely critical. The tools, methodology, process, development process can differ, but the outcome has to be consistent. The expected outcome is delivering Quality and high performance product/service to the end consumer. Quality ensures performance, and performance ensures better client acquisition and success. Michigan Custom Machines has extensive experience working with some of the leading OEM’s and Tier One suppliers in designing and building custom test machines that meet their testing needs . Contact us as we are happy to talk to you about how we can help you with your testing needs. This entry was posted in All, Highlight, News. Bookmark the permalink.